New Security Modules from Eagle MHC deliver the highest degree of versatility and flexibility to the secure storage of valuable materials and items subject to pilferage. New Security Modules from Eagle MHC. For the first time, users have access to a product that allows for secure storage within individual shelf sections, rather than having to purchase a completely secure versus non-secure shelving unit. Moreover, the module’s open-wire construction ensures visibility of shelf contents even when they are under locked storage. The unique design of Eagle MHC’s security module enables users to convert a portion of a wire shelf unit into a lockable, enclosed security unit. The security module consists of two end panels, a rear panel, plus a door panel. A choice of door panels includes a standard hinge door, as well as a flip-up door design. Security modules fit neatly in between two wire shelves spaced 20 inches apart. 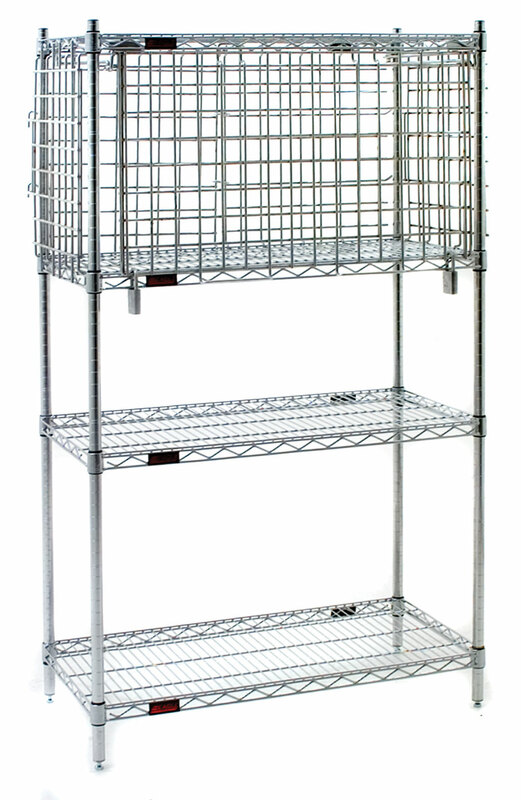 If desired, multiple security modules can be added to a single wire shelving unit, depending on the unit’s overall height dimensions. 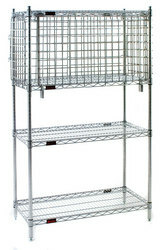 Security modules are available for wire shelving units measuring 18”, 21” and 24” wide. Choose from either chrome or stainless steel finish for long-life durability. For more information on Eagle MHC’s new security modules for wire shelving systems, contact Lynda Donavon at (800) 637-5100 or (302) 653-3000. Web site address: http://www.eaglegrp.com.